UNITED KINGDOM: The festive season is upon us and gospel outfit; Friends in Christ (FIC) are set to host a Christmas celebration that will feature US based singer-songwriter, Shingisai Suluma. The Maitiro Enyu hitmaker will fly in next week ahead of the show that will take place on 8 December in Bedford. Shingisai, who relocated to the US to take up a post as a United Nations Children’s Fund (UNICEF) goodwill ambassador several years ago, said she is excited to be a part of the FIC concert that will bring everyone together to worship and celebrate. She started singing at a young age and at 17, was choir leader of the Braeside Assembly of Zimbabwe Assemblies of God Africa (ZAOGA). She recorded her first album in 1995 and to date has a discography of approximately 10 albums. Popularly known as Mai Suluma, some of her most popular tracks include 'Mirira Mangwanani'(wait for tomorrow), 'Tatenda Taona', (thank you we have seen) 'Nanhasi'(up to today), 'Mumaoko aMwari'(in God’s hands) and 'Fara Zvakadaro'(be happy as you are), among others. Formed by Zex Manatsa Jnr and his wife Sharon, the group released their debut album in 2017 and their second album Genesis was released in June this year. It has to date, received rave reviews. The group are now working on their third album due for release in 2019. Zex, who is the music director, said that the team are thrilled and honoured that Shingisai will join them in concert as they count down to Christmas. "We have been practicing for the last six months and are ready to bring guests another memorable event," he said. "This will be our third major concert, and second one this year. Our ministry is important to us and is part of the reason we are committed to sharing our music and message with the world," he added. 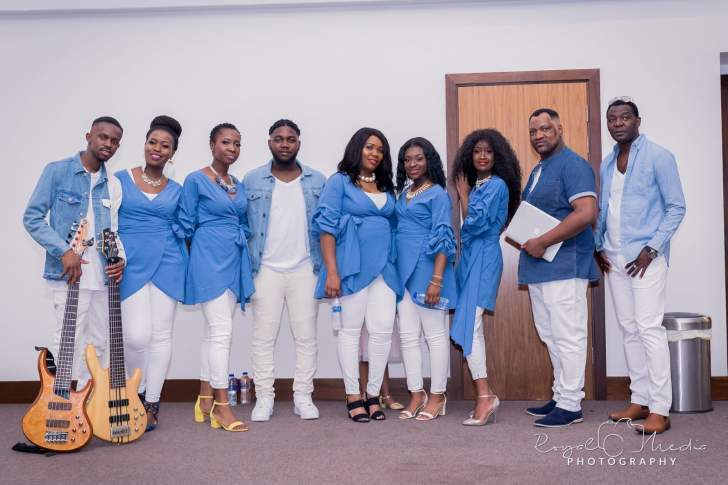 The collective are made up of multicultural musicians and singers from different denominations and have performed at a number of prestigious events in the last two years, including Zimfest and Zimbabwe Achievers Awards.